When it comes to scale, I let a lot of things go pretty easily. If it's not perfect scale, it's not going to bug me...too much. So with these leaves, I fully plan on using them for both terrain scale (Warhammer and D&D) and Dollhouse 1:12 scale. 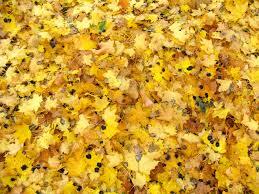 For the most part, people don't pay very close attention to leaves and general scatter. I probably wouldn't base an entire piece of terrain with these leaves, but scattering a few here and there has the possibility of adding a nice accessory to your pieces. If you look at the bottom, you can see what the punch bit itself looks like, along with a plastic piece that covers it, allowing a couple stamped bits before it gets clogged. I removed this plastic piece while I was working on it - I found the punch itself clogged a lot less if I had it removed. You've got yellow with brown on the left and red with yellow/orange on the right. Adjust your paint colours for the scene you want to accomplish. I created a palette on a disposable plate of the colours I planned on using. I took a picture of my blank piece of paper. I'm not entirely sure why - it doesn't really show you an example of anything you need to do in this tutorial. However, I took it, and so it's goin' in. Maybe instead of taking a picture of a blank piece of paper, I should have taken pictures between each colour. Oh well. Here you've got a base of green - just cover the whole paper, both sides, in green. I used Leaf Green from Dollarama. Then, using my stippling brush, I used brown, and then orange, and then a wee bit of red. I used less of each colour consecutively. Above you'll see my summer/early fall leaves of green and brown. After covering both sides of the paper with your chosen colour, let the paper dry. It won't take that long - just go grab yourself a drink or something, come back and you'll be ready for the next step. Use your ruler (I always prefer my metal one) to tear the sheet of paper into strips. With each strip you can use the punch along two sides, maximizing the paper usage. Here's some of my green and brown accumulated. Here's a human Rogue and leaves for perspective - they're still pretty large for D&D scale, but if you're not basing everything in JUST these, it'll look pretty good. 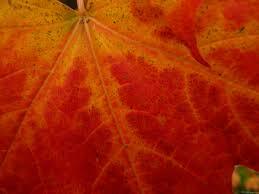 Here's just one Fall leaf for colour reference. Assuming you've got things on hand like paint, paper and a ruler - the total cost of this is $6, one time - and a punch you can use for many future projects.